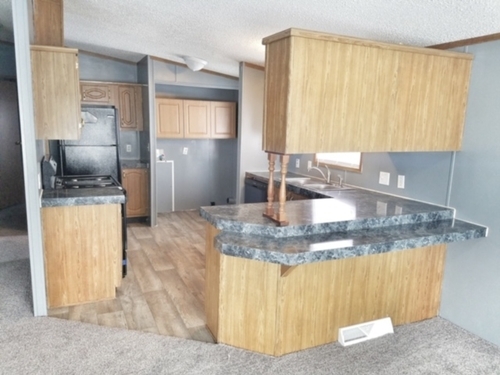 This beautiful 2 bed 2 bath home has been fully rehabbed so you can enjoy that wonderful feeling of new carpet under your toes. The front deck is enclosed and wrapped around the home for ultimate relaxation. Site 260 is a spacious floor-plan and beautifully laid out. All kitchen appliances included. HURRY! This home will not last long! I cant wait to hear from you!